Even though Houston winters are mild, we still have cold weeks. It is important to be prepared for anything, even snow like we saw in January. Prepare your roof for winter, just like you would the rest of your home. If you haven’t received your semi-annual inspection for the fall season yet, give us a call today. There are many benefits to regular inspections, especially in the winter. Get a free roof inspection from our team to ensure your roof is prepared for anything. If your roof is damaged, it is likely that you will be paying higher heating and cooling bills throughout the year. This is because your roof aids in insulating your home. However, if there are cracked, damaged, or missing shingles, your roof isn’t able to do its job. This can lead to heat escaping through the roof, which will you more money on your heating bill. 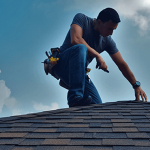 Get a free roof inspection done by one of our expert West Houston roofers, and you can guarantee your roof will be in its best shape. Let us save you money on your heating bills this winter. Your gutters are an extension of your roof. When they are functioning correctly, they help your roof drain rain water, melting snow, and other debris. If you haven’t already, this is the perfect time of year to have your gutters professionally cleaned. Professional cleanings are important because the buildup of debris in gutters can be damaging to the health of your roof. We recommend scheduling a professional cleaning in advance of your inspection. This allows our team to inspect your gutters as well as your room. We can tell you if there are any weak or damaged places that need repair. Don’t be stuck with damaged gutters should ice, snow, or hail come around later this winter. Be prepared for anything with a free roof inspection from Amstill. It is not too late to prepare your roof for winter weather. If you have not scheduled your semi-annual roof inspection, give our team a call today. Looking For A Roof Upgrade In Houston? We Can Help. In our most recent blog, we talked about the need for a roof replacement as your roof ages. The standard shingles will last around 20 years. Of course, you can always continue to replace your roof with standard shingles. The standard shingles we use at Amstill are top quality, and will provide you with a beautiful, functional roof for years. However, we always like to let our clients know that there are other options out there. If you are looking for a roof upgrade, we provide several top quality materials for your new roof. There are three different kinds of materials that we use for roofing at Amstill. 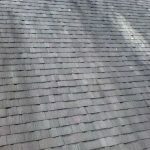 Within these types, there are a variety of shingle options that you can choose from to create your ideal roof. The most common types of shingles are the standard 3-tab shingles. These shingles are very easy to maintain and repair. They are also the least expensive material to choose for your shingles. If you are looking for something simple and easy, these are your best options. This type of shingle lasts about 20 years, as we stated in our previous blog. The next level of shingle material are our laminate shingles. These shingles are longer-lasting and more durable than standard 3-tab shingles. Due to their double thickness, they create a stronger barrier for the roof. If you are looking for an upgrade from standard shingles, but still trying to remain within a budget, laminate shingles are a great option. These shingles have a longer lifespan than 3-tab shingles due to their thickness, and can last between 30-50 years depending on the environment that you live in. 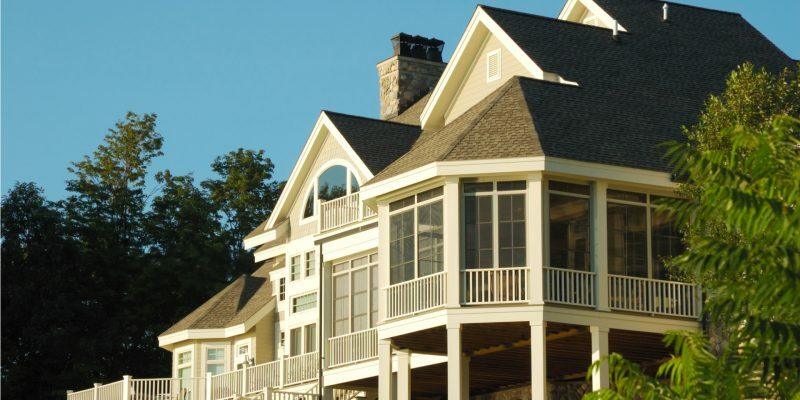 If you are looking for a luxury roofing upgrade, you will love the final roofing material. Architectural shingles are the most aesthetically pleasing and long-lasting shingles available. This shingles are extra thick and durable, and are sure to give a luxury finish to your home. While this shingles are the most expensive, they are also built to last a lifetime. Manufacturer’s warranties for architectural shingles can range between 50 years to life.These shingles are more damage resistant due to their thickness, and may be able to reduce the number of repairs needed during the lifetime of the shingle. Although repairs will be more expensive than they would be with standard shingles, they may also be less frequent. This makes architectural shingles a great option for anyone who has the budget for a luxury roof, or wants something very long-lasting. All of our materials are sourced from top-quality wholesale buyers that we have built trusting relationships with. We are able to secure the best price to quality ratio based on these relationships, and can pass these savings on to you. Our expert roofing team can guide you through the replacement process, and suggest the materials that are right for you. No matter what you are looking for, we promise to provide a top-quality roof in a timely manner. Give our team a call today to schedule your free roof inspection, and upgrade your Greater Houston Area roof in time for the holidays. Is It Time For A Roof Replacement For Your Aging Roof? 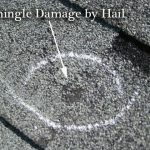 Many times, as long as there is no visible damage, we pay little attention to the state of our roof. However, if your roof is reaching the 20 year mark, it may be time for a roof replacement. Aging roofs become progressively more susceptible to damage as time goes on. Damage that may only require a simple repair on a new roof, could spell disaster for a roof nearing its final days. 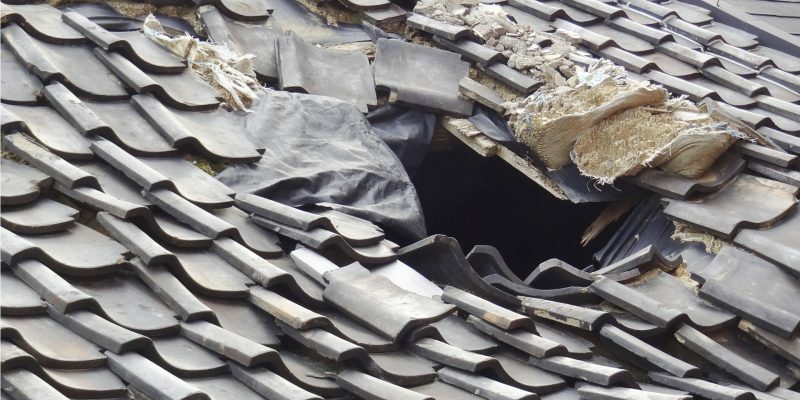 That is why we recommend a roof replacement approximately every 20 years. 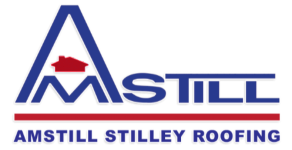 Save yourself money on expensive ongoing repairs, set up a roof replacement with Amstill today. Why replace your roof every 20 years? Most people don’t know that this number is the average lifespan of standard roofing shingles. Typically, all roofs are outfitted with these shingles. As the shingles age, they begin to break down and open your roof up to the potential of extensive damage. In order to avoid ongoing repairs, the most cost-effective option is to choose a roof replacement. If you are unsure of the age of your roof, it can be difficult to know when the right time to replace is. You may have bought the house from a previous owner who did not disclose the date of the last roof replacement, or you may have just forgotten. At Amstill, we know that you have too many things to keep track of, that’s why we take care of your roof. Free roof inspections with Amstill are a great way to assess the age of your roof. Our expert team will be able to judge whether or not your roof may be in need of a replacement soon. We promise all of our clients 100% honesty every time. We will never suggest a repair or replacement you don’t need. If you may be in need of a roof replacement this holiday season, call us and schedule your free roof inspection today. We have been providing one day service to the Katy, Memorial, Sugar Land, Cypress, and Energy Corridor areas since 1974. Trust Amstill for your next roof replacement. Need A West Houston Roofer For Your Big Move? A move to a new home is an exciting time. Whether you’re expanding your space to make room for a bigger family, or just looking to move to a new area, your move is a big deal. Selling your home can be a stressful time as well, but one thing you don’t have to worry about is your roof. If you are looking for a West Houston roofer to inspect your roof, trust our expert team at Amstill. With our free roof inspections, Amstill can help make your moving process a little smoother. 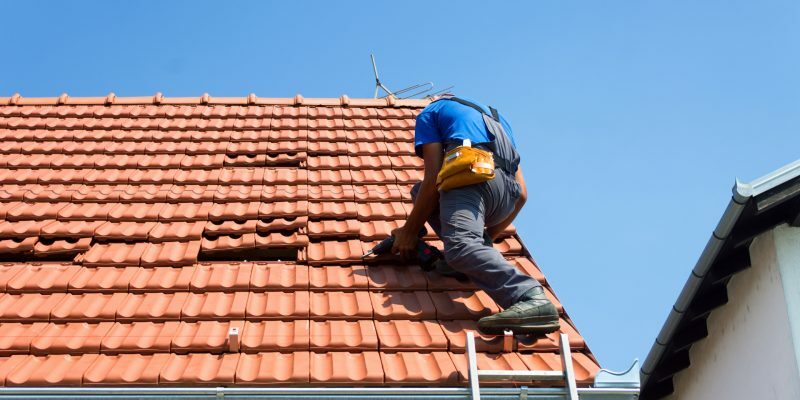 When you are getting ready to sell, our expert team of roofers can come out to your home and provide a free assessment of the condition of your roof. We will be able to recommend what the best course of action is to set you up for success, and make sure your home sells for a great price. Whether your roof is in perfect shape, or needs major work, we can let you know. That way, when potential buyers are asking questions, you have all the answers. Don’t be caught off guard by a damaged roof when you’re about to close a sale, let us help you make your moving process a little easier with our free roof inspections. One of the best things you can get during the moving process is peace of mind. Knowing you don’t have to worry about a damaged roof during the selling process is a major way to achieve that. If you are looking for peace of mind during your moving process, give us a call today. Let Amstill help your moving process go as smoothly as possible with free roofing inspections in Cypress, Katy, Sugar Land, Memorial, and the Energy Corridor. When was the last time your home had a roof inspection? If the answer is “I don’t know” or “I just can’t remember” then you may be setting your roof up for long-term damage. Getting your roof inspected regularly is an important part of maintaining a healthy home. Luckily, there is a solution. Trust our expert team of roofers this fall for your Greater Houston area roof inspection. Our team has been working in Houston for decades, and we are here to help not just in Katy, but in Memorial, Sugarland, the Energy Corridor, and Cypress too. Our projects are typically completed in one day. That means more time enjoying all the benefits of your healthy roof. You can have your inspection and repairs completed in advance of the holidays. Don’t worry when rain, sleet, or hail comes around. Call Amstill for your fall inspection. Our roof inspections are always free, and we recommend getting them seasonally. This allows our expert team to assess the condition of your roof and make any minor repairs that may have come up since your last inspection. 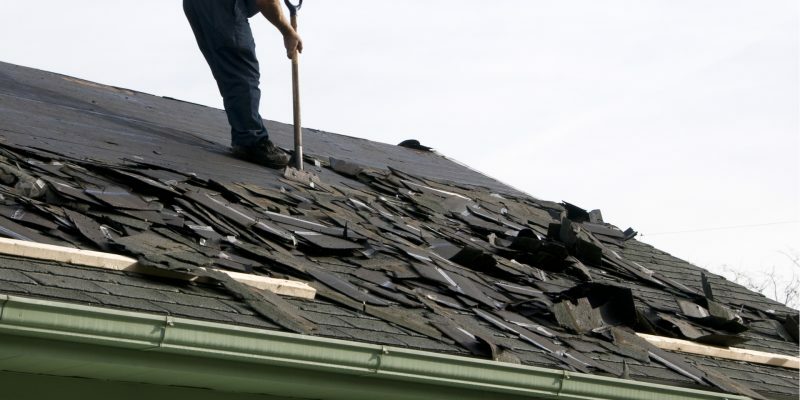 Whether it is a loose shingle or something more severe, Amstill is here to help. We believe honesty is key in any business, which is why we will only recommend repairs that are truly necessary for the health of your roof. Sometimes, your roof will be in perfect shape, which is great. Having regular inspection gives homeowners peace of mind that their roof is in optimal condition. If it has been too long since you had your roof inspected, let Amstill help. Our trusted team of expert roofers has been keeping roofs in Katy, Memorial, Sugarland, the Energy Corridor, and Cypress in their best shape for decades. Give us a call today to set up your free inspection. We all know that Houston is known for humidity and heat, but those few weeks of cold every year are enough to make us all want to pull out our sweaters and curl up under some heavy blankets. If your home has roof damage, it may not be doing as much as it should be in insulating your home, and keeping your heating bill low. When the temperature hits the 50’s, or even lower, will your home be ready to keep you warm? This year, prepare your roof for winter with Amstill. 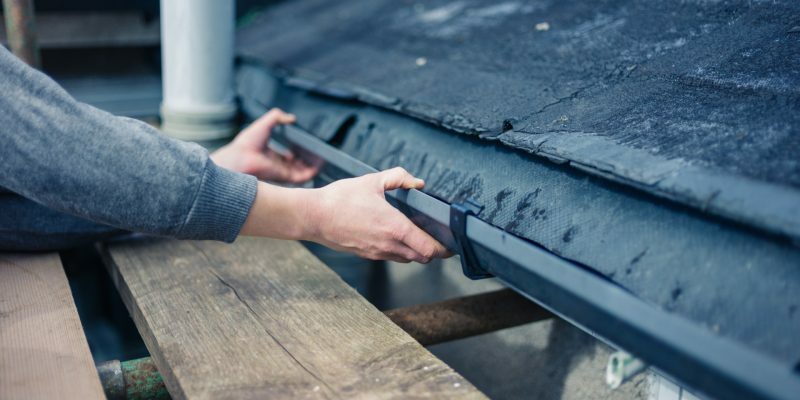 The first thing you should do is ensure you’re getting your seasonal roof inspections. We recommend doing this in the spring, before hurricane season, and in the fall. This helps keep your roof in top shape throughout the year, and helps fight the possibility of bad weather damaging a roof with existing damage. Allowing existing damage to be ignored means you open your roof up to a whole world of problems. From leaky roofing to faulty shingles, damage is no fun. It is much better to take care of the little problems as they come, instead of doing a major roof repair after a storm rolls in. Having a healthy roof also means saving money on your heating and cooling bills. A healthy roof can help insulate your home, and prevent excess heat or cold from entering. If your roof has damage, it may be hiking up your bills each month. Having a regular roof inspection done by our professional team here at Amstill can save you money every year on expensive heating and cooling bills, and keep your house comfortable all year long. 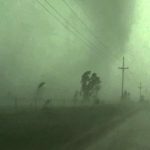 Although Houston usually has mild and pleasant winters, don’t be caught off guard by unpredictable storms this season. Keep your whole home protected from potential hail, rain, or even ice. Whether you’re in Katy, Memorial, the Energy Corridor, Sugarland, or Cypress, our trusted roofers are here to help. Schedule a free roof inspection with Amstill this month to get the most out of your roof this winter. We look forward to helping you protect your roof this season, and every season.